Lighting a room is pretty easy. Lighting it with style takes a tad more nuance, so we’ve gathered up our favourite household lighting tips to make your home a palace of glowing magnificence! DIY lighting is now more popular than ever, and the things you can achieve with ordinary bits and pieces and a bit of ingenuity are seriously amazing. Not to mention affordable! From mason jar fairy lights to glass ornament pendants dangling like gleaming icicles, the only limit is your imagination. Or someone else’s, if you trawl the boutique retailers and handmade market stalls in search of quirky, stripped-back lighting delights. Have fun! 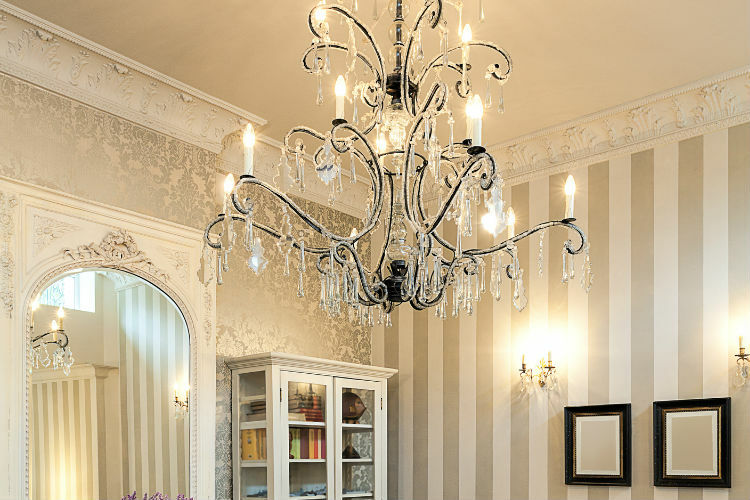 If you want to add a serious touch of glamour to any room, think outside the box with a chandelier. No longer exclusive to gothic mansions and rappers’ abodes, these exquisite fixtures can be made to fit spaces of any size. Upgraded industrial-style, geometric shapes and designs inspired by nature are the way to go this season, so don’t be afraid to embrace something a little more offbeat. Whether your home décor calls for elegant and sleek or rustic and vintage, a chandelier might just be the answer for a true sense of style. 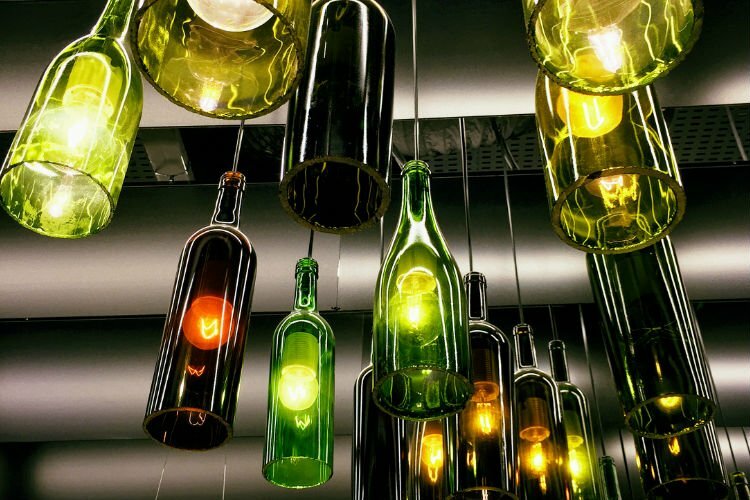 Cluster lighting is an awesome way to bring the wow factor, and it’s guaranteed to immediately draw the eye. A bunch of lights hung together can make for an impressive installation, especially when they’re all strung at different heights. 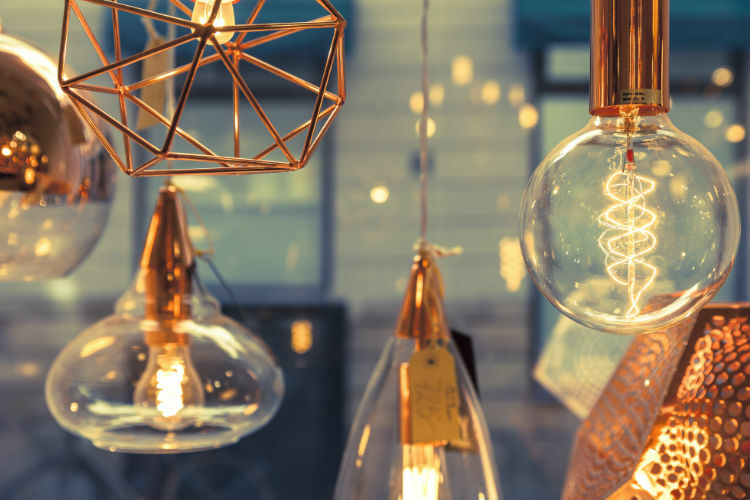 From simple bare bulbs to ever more ornate and intricate designs, cluster lighting is a hot trend around the globe (pun intended). It works brilliantly in both interior and exterior settings, so start experimenting today! In the fabulous field of original household lighting, you might not even have to leave your home to get inspired. You can make quality statement pieces with ordinary household objects that you no longer need (think bits of wood or old pipes), or head outside in search of things like seashells. Crafting your own lighting fixtures from found objects means you have something truly unique, which is a genuinely lovely feeling. Hardly costs you a cent, too! When mood is the order of the day, a nice splash of colour can go a very long way. Be it a lively dinner party atmosphere or a sense of calming peace in a nursery, coloured lights may be just what you’re looking for. You can be as inventive as you like with coloured bulbs (whether you buy them or paint them yourself), and even invest in a fun little LED number for maximum colour-changing goodness. Of course, if you’re planning something particularly ambitious, you might need a spot of help with the more technical stuff. If that’s the case, have a chat to a specialist electrician, like the fine folk below! Looking for a local business you can trust? Search now!